(HealthDay)—Among top-ranked U.S. hospitals, data reveal discrepancies in information provided to patients regarding medical records release processes as well as noncompliance with state and federal regulations, according to a study published online Oct. 5 in JAMA Network Open. Carolyn T. Lye, from the Yale School of Medicine in New Haven, Connecticut, and colleagues assessed medical records request processes at 83 top-ranked U.S. hospitals in 29 states that had independent medical records request processes and medical records departments reachable by telephone. Scripted interviews with medical records departments were conducted. The researchers found discordance between the information provided on authorization forms and that obtained from simulated patient phone calls in terms of requestable information, formats of release, and costs. 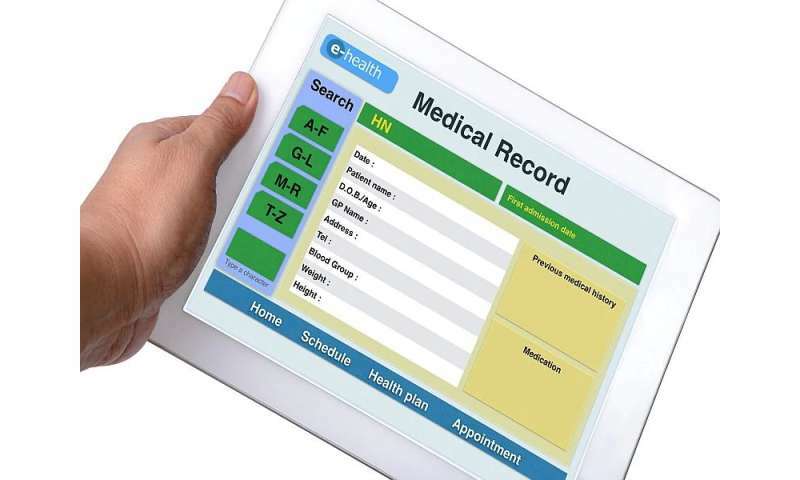 As few as 11 percent of hospitals provided the option of selecting one of the categories of information on the form, and only 53 percent of hospitals provided patients with the option to acquire the entire medical record. In contrast, on telephone calls, all 83 hospitals stated they were able to release entire medical records to patients. Further, in information given in telephone calls and on forms, discrepancies existed between the formats hospitals stated they could use to release information (for pickup in person, fax, email, CD, and online patient portals), which demonstrates noncompliance with federal regulations in refusing to provide records in the format requested by the patient. The costs of release at 48 hospitals were greater than the federal recommendation of $6.50 for electronically maintained records, and at least 8 percent of hospitals were noncompliant with state requirements for processing times. "Policies focused on improving patient access may require stricter enforcement to ensure more transparent and less burdensome medical records request processes for patients," conclude the authors.